I want to use LimeSDR to measure the magnitude and phase of a signal connected to the 2 RX channels of the Lime. I am using one of the TX channels to generate a sinusoid, the Lime’s TX port is connected to the input of a power splitter. 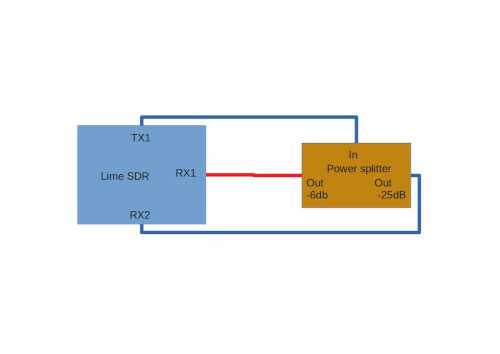 The outputs of the power splitter are connected to the RX channels of the Lime (as shown in the below picture). For the moment I am working in the 35-200 MHZ frequency range. The first problem I run into is that the phase of both channels can be (approximately) 180 degree out of phase in a random way. 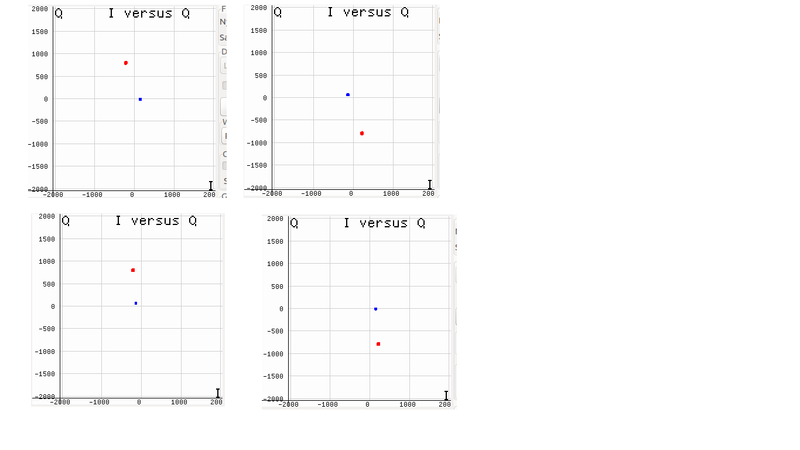 The following screen shoots of the " I versus Q" plots of the Lime suite GUI (FFT viewer) shows the problem very well (All this graphics are taken at the same frequency=100MHZ, just by pressing the Start-Stop button the points in the constellation jumps from one position to the other). Is there any solution or a workaround for this problem? Reading data streams of the 2 RX channels simultaneusly?